It's been three weeks since R started going to school. 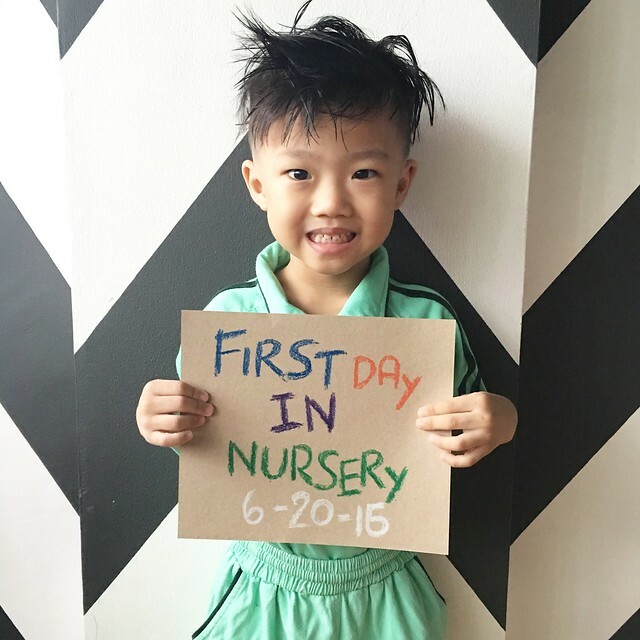 He is a #FirstTimeSchooler but he wasn't really new to the school environment. Ever since going yaya-less last year, he has been taking and fetching his achi with me from school everyday. He knew the guards, where the playground is, where manong fishball is, achi's classroom and even knew some of achi's classmates. R has always expressed that he wanted to go to school like achi. I could have enrolled him last school year but decided to delay his schooling because I felt he wasn't ready yet. Earliefr this year, when we learned he was accepted to the school, we were all very excited for him! Achi was teaching him what she learned daw in Nursery. They're so cute! Bagong lig, gulo gulo pa hair but I was excited to take his photo! Heehee! A few weeks before school started, our school always conducts a Parents Orientation. I always make sure to attend it not only because there are a lot of reminders from the school's head teachers, traffic flow, etc. but also because I get to meet my kids' teachers for the school year. School is our children's second home, I want them to feel secure and safe as they are at home. So when I found out that one of Y's Nursery teacher will also be R's, #Sigurado ako that R will be in good hands! Because I also wanted to be #Sigurado that R will enjoy his time in school. I made him a part of the preparation like buying what he needs for school. Konti lang naman because the school provides everything else. We went to the department store to buy socks and a windbreaker then to the grocery to pick his baon, I let him choose what he likes to psych him more for school! Making him part of this process is just one of the things that will make us the #BestTandem for his first year in school. If you ask R what he likes about school, I think his answer will be recess haha! He actually eats the snack the school gives everyday. But I always pack extra biscuits in case he wants to eat more. 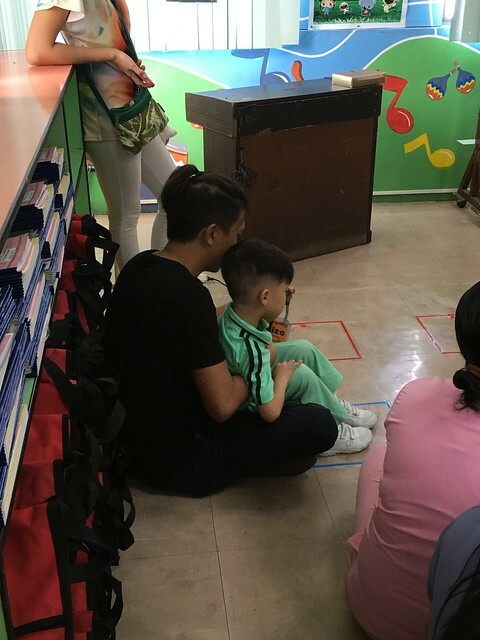 He had first day jitters for a couple of days, he didn't want us to leave the classroom but when once he started to get to know his teachers and classmates, he has been making kwento of what new songs and things he learned in school. 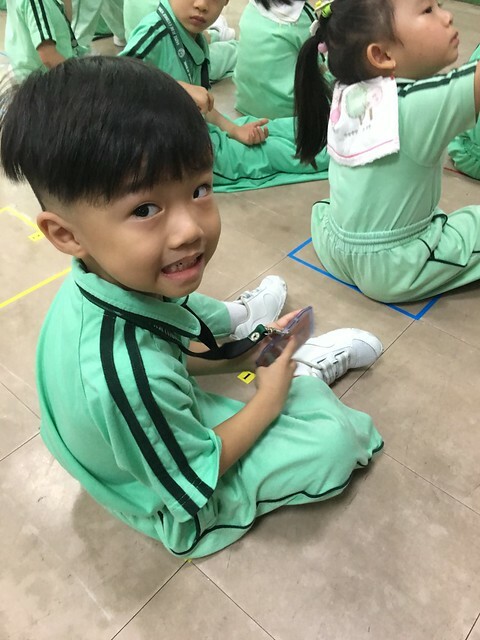 R is still adjusting though, there are days when he doesn't want to go to school and I needed to sweet talk him so he would go inside the classroom. Although I worry about R, I'm just happy he doesn't cry and I make sure he's full in the morning and in a good mood. Papa's boy. 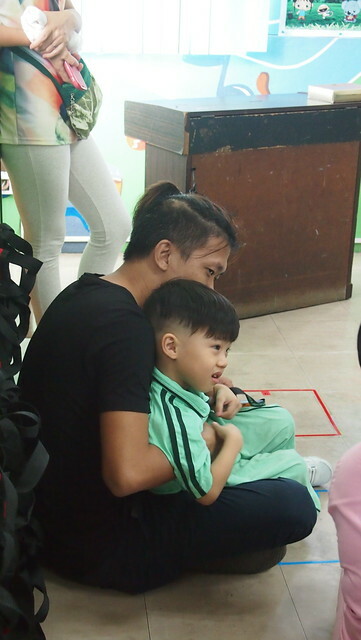 He wants papa to be his classmate haha! This was the first day of school. A week into school, I asked the teachers about R. I'm happy to learn that he behaves well and listens to the teachers! I am actually amazed of the things he's been telling me of what he has learned in school. We also had a late celebration of his birthday in school. 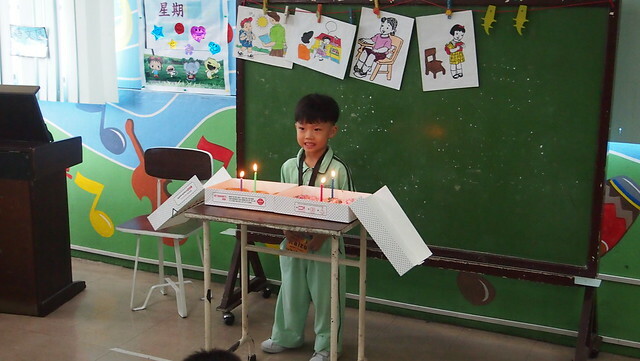 We celebrated it in school two weeks after because there was no school yet during his birthday. I wanted him to experience it like his achi! He was happy with his doughnut party in school! 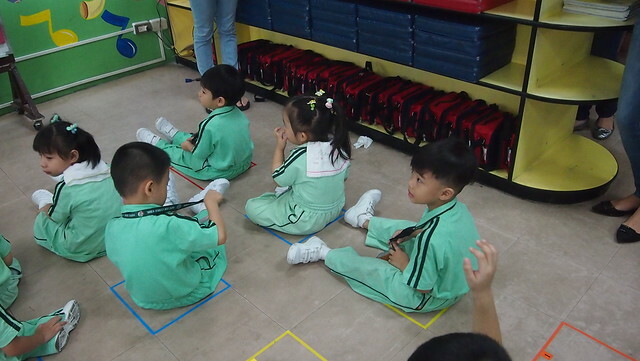 Seeing R in school made me reminisce about Y's Nursery days, while she adjusted better than R, I remember she got sick a lot during her first year in school. 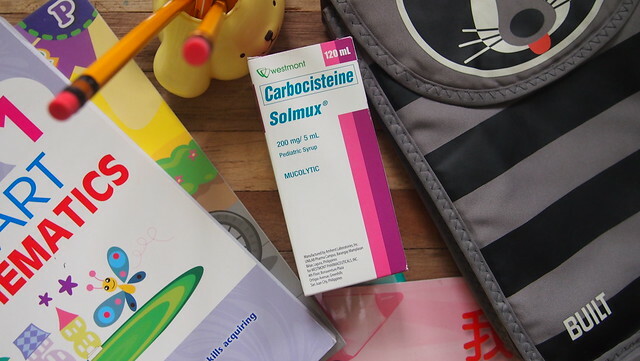 She would come home from school with colds or cough and as much as possible I don't want the same thing to happen to R. But if he does get cough, my #BestTandem Pambatang Solmux 200mg will help him not miss out school and not get in the way of learning new things or making new friends at school. Pambatang Solmux 200mg is trusted by many pedia and moms. It it safe and effective because of its Bacterial and Viral Expel Action. Pambatang Solmux 200mg comes in two sizes: 60ml for Php97.80 and 120ml for Php148.64 only! 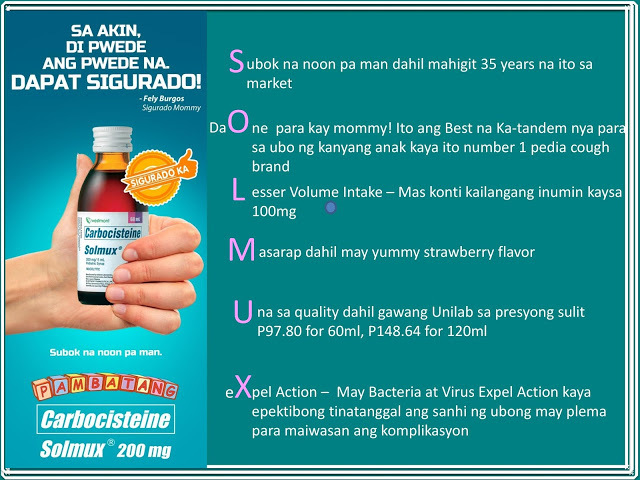 I'm really lucky that R is easy to give medicine to whether it's yummy or not but you don't have to worry about that with Pambatang Solmux 200mg because it's strawberry-flavored! 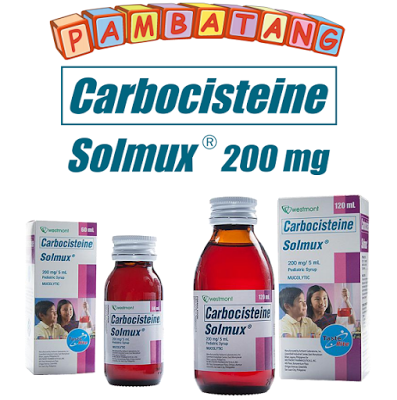 Less medicine intake too because Pambatang Solmux contains 200mg of medicine per 5ml vs. other carbocisteine medicines which only contain 100mg of medicine per 5ml. Pagod on his first day! Haha! 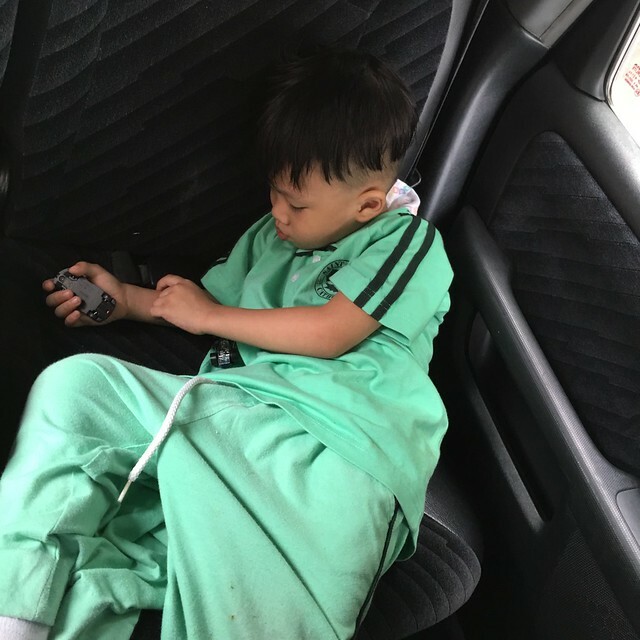 He usually falls asleep on our way home, I guess he's tired from all the playing and singing he does in school. Heehee! How did your kids adjust to school? Share naman your tips! Don't forget to like Pambatang Solmux on Facebook!